The year seventeen ninety-six saw a change in American politics. That year, the new nation held its third presidential election. And for the first time, there was more than one candidate. George Washington won the first two elections without opposition. But now there were two political parties. The Federalists were led by former Treasury Secretary Alexander Hamilton. 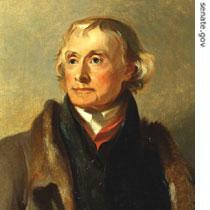 The Republicans were led by former Secretary of State Thomas Jefferson. This week in our series, Harry Monroe and Kay Gallant tell the story of the election of seventeen ninety-six and the winner, John Adams. Most people expected John Adams to win. He was well known throughout the country. He had campaigned for American independence from British rule. He had served as a diplomat in Europe and as the first American minister to Britain. He was Washington's choice for vice president and had served in that position for two terms. Adams was a Federalist. But he was not -- like other Federalists -- loyal to Alexander Hamilton. So Hamilton worked against Adams. He tried to win electoral support for his own candidate for president, Thomas Pinckney of South Carolina. At last, the day arrived for counting the votes. The Federalists were shocked by the results. Seventy-one electors voted for John Adams. Sixty-eight voted for Republican Thomas Jefferson. Only sixty voted for Hamilton's choice, Thomas Pinckney. Under the electoral system used at that time, the candidate with the most votes became president. The candidate with the next largest number of votes became vice president. So America's second president would be John Adams. Its second vice president would be Thomas Jefferson. Jefferson had resigned from public service a few years earlier. But he decided to accept his election as vice president. He wrote to his friend James Madison: "I am willing to serve under President Adams. I believe Adams is the only man who can stop Alexander Hamilton from becoming president in eighteen hundred." 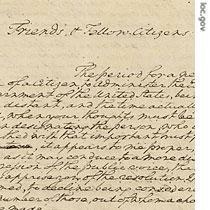 To Adams himself, Jefferson wrote that he valued their long friendship and hoped it would continue. Republican newspapers carried articles that were friendly to Federalist John Adams -- the first time they had done so. When Adams and Jefferson took office in March, seventeen ninety-seven, some Federalists believed their political power had come to an end. But Alexander Hamilton, sitting in his law office in New York City, did not lose hope. He knew he still controlled the top Federalist leaders in Congress. More than that, he believed he knew how to control John Adams. The new president made Hamilton's job easy. 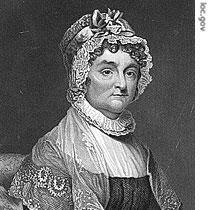 Adams kept President Washington's cabinet. The three men who were Washington's chief government officials would now advise President Adams. Washington had appointed them at Hamilton's request. And they always did what Hamilton told them to do. Historians still cannot explain why John Adams -- a man who did not like or trust Alexander Hamilton -- kept the three cabinet secretaries. If the secretaries had been men of great ability, then that might be an explanation. But they were not. One was a secretary of state who knew very little about foreign relations. The second was a secretary of the treasury who knew less about finance. The third was a secretary of war who knew nothing about military matters and defense. Adams may have kept these men as an act of party unity. Or he may have kept them because he could not get anyone else. Whatever his reason, the decision was politically costly, for the three men worked together against him. President Adams told his cabinet secretaries what he wanted. Then they went to Alexander Hamilton for orders. In the end, these secret activities helped destroy the Federalist Party. And so, they made the administration of John Adams one of the most exciting and important periods in the political history of the United States. As we said earlier, John Adams was a great man and a true patriot. He was born in the village of Braintree, Massachusetts, in seventeen thirty-five. He wanted to be a farmer. But he was sent to Harvard College to study to be a clergyman. He had no interest in this life and became a lawyer, instead. In the years before the American Revolution, John Adams wrote articles about the injustice of British rule. He also became a delegate to the First Continental Congress. He urged the Congress to appoint George Washington as commander-in-chief of American forces. He argued for the creation of an American Navy. And he helped develop the resolutions declaring American independence. Adams spent most of the war years in Europe. He helped win Dutch recognition of the new American nation. He also negotiated a loan from the Dutch government, as well as a treaty of friendship and commerce. After American forces defeated British forces, he helped negotiate the peace treaty between the two countries. Then he served as the first American minister to Britain. Adams, like other Federalists, believed that men of money and position should govern America. He did not trust the common people. He did not support democracy. He once wrote: "In the city of Boston, there are four noble families. They are just as much a noble class as the nobility of Britain or Spain. And it is good that this aristocracy exists." Yet John Adams had a deep love for his country. He would do whatever was necessary to keep it free. Adams was extremely intelligent and was a thoughtful, lively writer. However, he often acted very coldly and said little. Or he became angry easily. His best friend probably was his wife, Abigail. He had few other friends. Adams' personal weaknesses caused trouble during his presidency. He belonged to the Federalist Party. But he did not want to become involved in party arguments. And he did not want to make all the compromises necessary in the world of politics. So, other Federalists often worked against him. Not many people really liked this difficult, aristocratic man. Strangely enough, one of the few who did was Thomas Jefferson. This was strange, because Jefferson's political philosophy was opposed to everything Adams represented. Perhaps Jefferson liked Adams because he respected him for his intelligence. Perhaps he never forgot that Adams had fought hard for American independence. Or perhaps he understood that, under Adams' selfishness and weaknesses, there was an honest man who would do anything for his country. However, there were not many like Jefferson. Most men in politics just did not like Adams. They used this fact as a weapon. It was such a strong weapon that it made people forget what Jefferson remembered. John Adams had a good mind and loved the United States. He had given many years of his life to the young nation and should be honored for it. Federalist leaders, especially, appealed to Adams' weaknesses when they wanted his support. For example, they knew Adams was jealous of President Washington. Adams felt Washington received too much honor, while he received not enough. Sometimes, if Adams knew the president's opinion on a question, he would develop a different opinion. Yet Washington -- like Jefferson -- respected Adams. He felt the new nation needed Adams' skills. Adams won the presidency in seventeen ninety-six. But his term would be difficult. His own party, the Federalists, did not trust him. And he did not have the support of the general public. The people knew he did not like them. Adams did not expect the job to be easy. He once wrote: "In politics, a man must always walk on broken glass and red-hot iron. It is not easy to do this when you are not wearing shoes. But some men must do it. There are many dangerous things that have to be done for our country in these dangerous times. If nobody else will do them, I will." We will continue the story of John Adams next week. Our program was written by Harold Braverman and Christine Johnson. The narrators were Harry Monroe and Kay Gallant. Join us again next week for THE MAKING OF A NATION, an American history series in VOA Special English. Transcripts, podcasts and MP3s of our programs are at www.unsv.com. 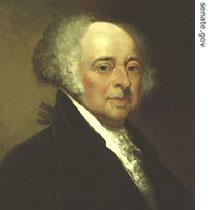 John Adams was elected as the second president in the nation. He didn't like the federalists and republicans. He had a different idea and didn't like the compromises. Though John Adams' selfishness and weakness, he was thought to a patriot although in his life. John Adams, elected second President of USA, left a famous saying as a politician: In politics ,a man must always walk on broken glass and red-hot iron. my God, how about businessman, novelist, litterateur and artist?